Travel brochures sound so retro in a world of travel apps and websites. But they’ve brought us a bagful of happiness. Before we left on our extended cross-country journey, I visited the tourism websites for many of the states we planned to visit. Most of them offered free printed brochures, which I ordered online. 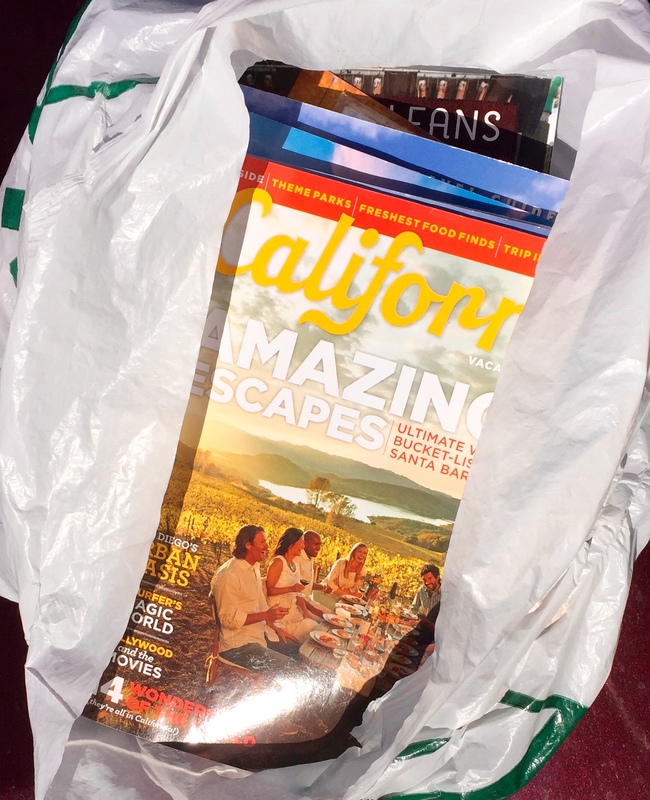 Over the next several weeks, as the brochures arrived at our Durham home, I placed them in a plastic bag in chronological order of when we would need them. As I discussed in a previous post, we don’t have a detailed itinerary, wanting to remain open to serendipity. Instead, whenever we’re about to enter a new state, I reach into the bag, pull out the next brochure and get ideas about where to go. 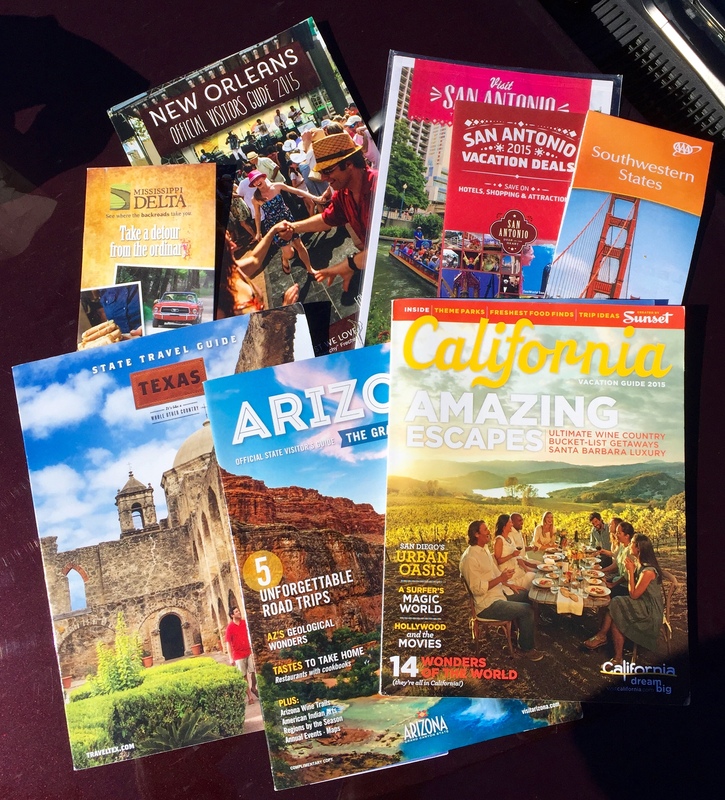 Most of the brochures — a word I use here to include larger booklets and magazines — are professionally produced and filled with helpful information. Many cities offer them, too. I still use TripAdvisor and other online resources, but the brochures have been a great starting point, especially when I have a bad Internet connection or don’t want to stare at my laptop after a long drive. When we finish with them, I just toss them in a recycling bin. Travel books are helpful, too, but generally more than we need for places we’re typically visiting for just a few days. As someone who spent 14 years helping to steer a university away from print and into the digital age, and who is enthusiastic about social media, I am surprised to find myself using a plastic bag stuffed with brochures. But many of our country’s state and city tourism offices are producing nice work, and it’s free, so I’m using it. For me, travel brochures are the new app. Love this! Glad your adventure has been good so far!